So let's get to this week's inspiration! Julia This week I was given this gorgeous digi from Knitty Kitty Digi's to play with .. you can find this little cutie here I coloured it up with copic markers .. and created some background paper to match using water colours. Full details on my blog. 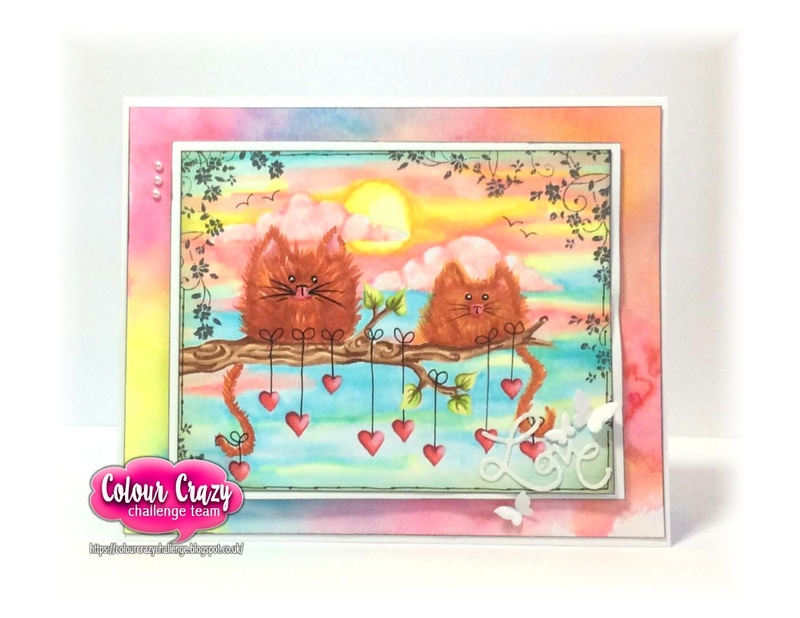 Louise - I chose the very cute Puddles Of Love image to use on my card for this challenge. 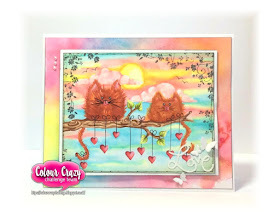 Carol - I chose an image with some very cheeky kitties for my card today, it's Bird Feeder Booby Trap. I coloured it in with my copics. Beautiful Colouring from the team! Well done! - you have won a prize from Oddball~ Please email sales@polkadoodles.co.uk quoting code CCCw16001 to claim your prize! Wow, so many entries, we loved all of them so thankyou all so much for entering! Don't forget your badges they can be found in the tab above. Thanks for choosing my birthday card as one of your Team Favorites. I am honored!